If you like this free game, try Fishdom: Depths of Time. Fishdom 3 gives you ultimate match-3 experience - it's better than ever! Engage in challenging and fun match-3 puzzle gameplay with new unique twists. Hey, your finned friends are waiting for you in Fishdom 3 - dive in! - Fishdom 3 Collector's Edition Extras: 100 bonus levels, relaxing soundtrack, exclusive wallpapers, concept art and Fishipedia. 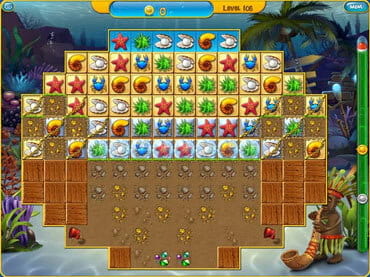 - Fishdom 3 is free full version game to download and play. If you have questions about Fishdom 3 game, please contact us using this form.